Quite surprisingly, PMC presented their first amplifier. 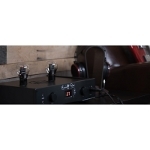 The Cor is an integrated amplifier with five inputs (on of them, balanced), which delivers 95/140W at 8/4 Ohm loads, featuring a linear class AB power stage. The device includes a preamp out and tone controls. 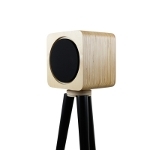 An interesting new company, Pop Speakers presented their first model (designed by Walter Carzan), the Double Pop. 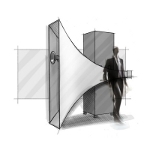 It is an active, small volume design that also supports wireless streaming. Primare has introduced three new products that support Prisma, the wireless/multiroom streaming technology it has developed. the photo shows the integrated amplifier I35 with a Class D power stage (150W/8 Ohm) and a built-in DAC (capable of 768kHz/DSD128). 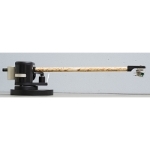 Primary Control is a manufacturer of tonearms featuring magnetic suspension. Gravity is the newest model and uses permanent magnets instead of field coils. 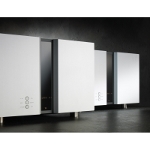 Quadral has introduced the Platinum+ series, with a completely different aesthetic approach. The loudspeakers in the series use a RiCom tweeter and ALTIMA mid/low drivers, the same used in the top-of-the-range series Aurum. Questyle displayed the new CMA400i DAC/Headphone amplifier (introduced at this year's CES). 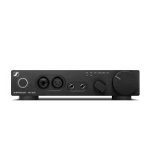 Based on the AKM4490 DAC, it offers single ended and balanced outputs and is expected soon, at a price that is quite affordable. 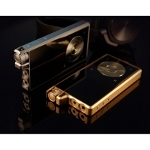 The same company also unveiled its new portable media player, the QP2R. The new Linux-based device features the AK4490 chip, uses an improved version of the Current Mode proprietary output topology and can handle PCM 384kHz and DSD256 signals. Its capacity reaches 264GB. 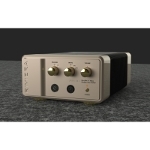 A quite new company from Italy, Riviera Labs, presented the AIC-10 amplifier, which can be used wA quite new company from Italy, Riviera Labs, presented the AIC-10 amplifier, which can be used with both headphones and speakers. It is a hybrid design (triode/MOSFET) and delivers 10W/8Ω in class A, without negative feedback. 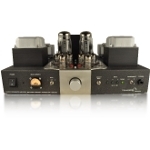 Sennheiser has demonstrated, among other things, the HDV-820 DAC/Headphone Amplifier. 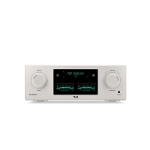 It features an ESS d/a conversion chip and can handle up to 32-bit/394kHz and DSD256 files. The device offers both single-ended and balanced outputs. 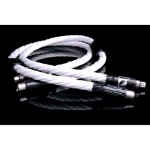 Signal Projects presented a full line of its audio cables. Among them, the new Avaton in the Statement Series. 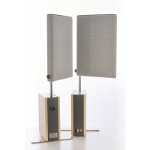 Sombetzki is an iconic electrostatic loudspeakers manufacturer. 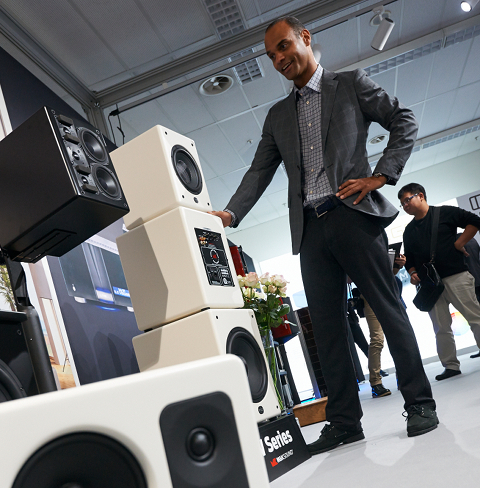 Here, the ESL Home, a system that is suitable for near-field (ie, from a short distance) listening. 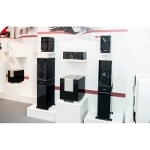 One of the stunning loudspeakers displayed in the show, Stein Music's open baffle TopLine L combines high frequency and midrange horn loaded drivers with an active/digitally controlled low-frequency part. T + A's integrated amplifier PA 3100HV is based on the company's well-known PA 3000HV with some changes (the most visible are, obviously the VU meters), including improvements to the preamplifier and the power supply. It can be upgraded with a phono preamp (MM/MC) module. 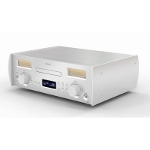 Teac's NR-7CD is a combo that includes a CD/Network player and an integrated amplifier. Its output stage is based on ICE Power modules and the device offers wireless streaming. It is compatible with both PCM and DSD files. TechDAS' Air Force III is a more affordable version of their top-of-the-range Air Force One. 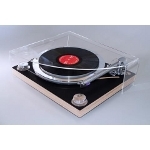 It uses an air bearing for the platter and a vacuum/suction system to stabilize the record, but a simpler, standard four-feet support method. 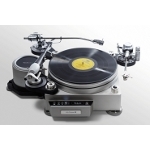 Technics has introduced their new combo, the SC-C70. 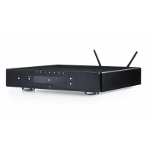 The device includes a CD player, a streamer, an amplifier and loudspeakers in a common chassis, supports the DLNA standard and is compatible with AirPlay and Bluetooth. It is expected in September. 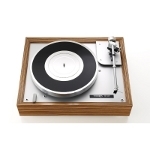 Thorens showed all three turntables of the "900" series. The photo shows the top-of-the-range TD 907, featuring a special adjustable suspension based on a gas-tight polypropylene membrane. The tonearm is the TP-92-10. This year, TriangleART presented a new analog system, the Master Reference. It is a design based on the Reference SE model but with a double platter architecture. Tsakiridis Devices displayed, as usual, a wide variety of products. 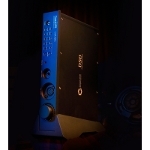 The photo shows one of the most successful integrated amplifier models, the Theseus. 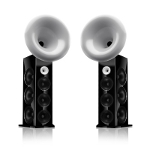 Tune Audio offered a clear show stopper, the Avaton. 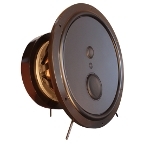 It is a three-way horn design suitable for large rooms. Using an 18-inch woofer, it can go down to 32Hz. The sensitivity of the system is 105 dB. Vinnie Rossi showed their modular system (Lio). The photo shows a chassis with a tube-based module. 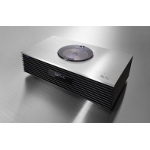 The SM-103 from Vitus Audio is a monoblock power amp that belongs to the Signature series. It delivers 100W in class A and 150W in class AB operation. 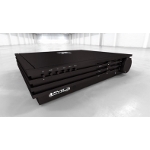 The amplifier offers both a single ended and a balanced input. Volya's NoLimits is a three-way loudspeaker with ceramic drivers and a rather peculiar circular baffle. The photo does not reveal its real size, measuring 1.2x1.2 meters (with a 70 cm depth). 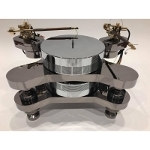 Wand is best known for their unipivot tonearms, but in Munich this year it took one step further with the prototype of a turntable, which will simply be named... "Turntable" and should be expected in the market at the end of the year.